Much of the line appeared to be familiar to me — remember I had been to all stations on the Xi’an-Baoji HSR, so it was only after we left Baoji South that the new bit of the line meant I was looking out the window. Quite a bit. Or at that, just a bit. The new high speed line went through probably a million tunnels, this being a very mountainous part of China. I’ve seen quite a fair bit of railway stations by now — the good, and the bad; the well thought-out, and the absolute horrendous. Yujiapu fits none of these four because it’s magic that’s bound to take you away. OK so not quite. I got in early on the train out from Beijing South. Because I wanted to get some real work done, I travelled in Business Class (pretty much all the time, really). The journey out was not too dissimilar with the previous HSR-then-regular-rail journeys I did, except of course we now travelled on the new 350 km/h (217 mph) line, passing through Junliangcheng North station enroute. And then we parted ways, with the HSR trunk line to Northeastern China heading further northeast, whilst we stayed further east, then slightly due southeast, with Tanggu the first station that could be served. Sometimes, it’s the little things that make China’s HSR great. Like, say, the 261 km long Tianjin-Qinhuangdao HSR. At just 163 miles, this is hardly a major trunk line in one of the world’s largest countries, but it links the high speed lines between Beijing and northeastern China via Tianjin, Qinhuangdao, and the coast. This new line has allowed “full” HSR services to connect northeast China with Shanghai. That’s me doing Rail English again for China. Just a few days back, I was appointed Railway English Consultant for Ji’nanxi (Ji’nan West) and its subordinate stations, which include stations from Taian to Zaozhuang. Some time earlier, I also did much the same at Xuzhoudong (Xuzhou East) station, which basically meant that if you’re travelling between these stations, you should see serious improvements in Rail English. As of late there’s one other very welcoming development: the Beijing-Shanghai HSR has been showered by the central government in China, giving it top honours in a national science and technology progress awards ceremony. 10:40 (Beijing time), Friday, 11 December 2015. Chinese immigration authorities stamp me in — getting me back home. Yep, the Jing is home: how can the place you were born to not conceivably be home? 10:28, Sunday, 13 December 2015. Train G121 departs from Platform 16, Beijingnan Railway Station. Within 48 hours of touching down back in Beijing, I’m on the rails. Call it the 287 kilometres of HSR that mattered. That actually built bridges. The month of December is when China’s HSR network will break that crucial 10,000 km barrier, and the new Tianjin-Qinhuangdao High Speed Railway started this breakneck “HSR Month”. 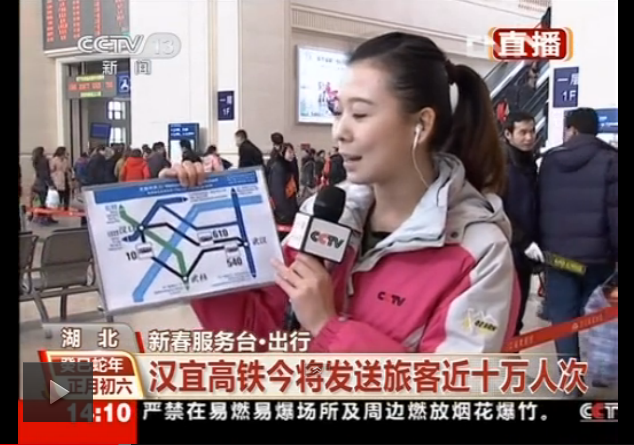 A few other new lines, including Xi’an-Baoji, Xiamen-Shenzhen, and a new link from Hengyang East to Nanning, will make China’s HSR trains go just about all over the place.